beasts, ' Now, shut the gate of the Animal Kingdom.' And it was shut, and great stones were rolled against it. When everything was tight closed the little hare turned to Bio- Lion and said ' Now! 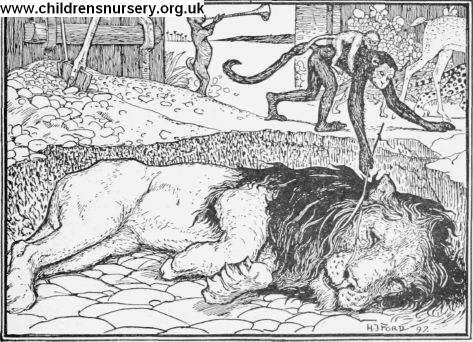 * and Bis Lion bounded out of the ditch and tore the other animals in pieces.